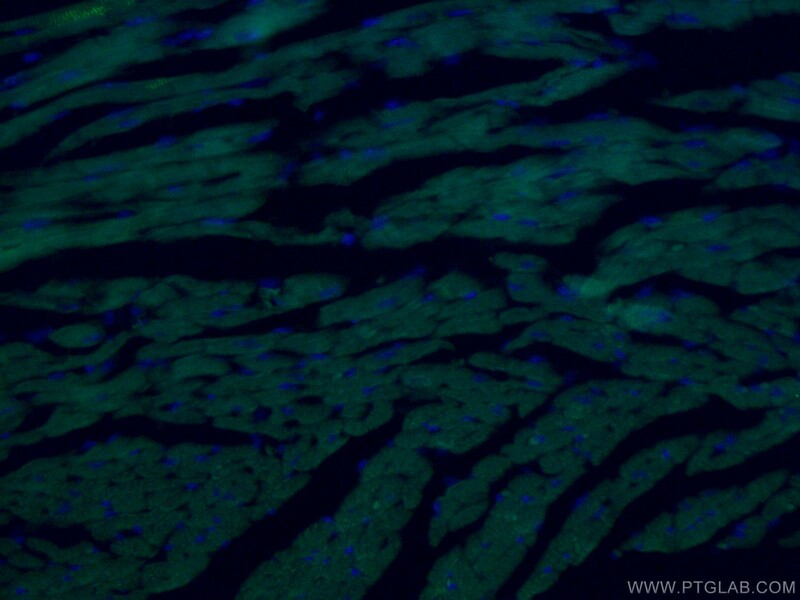 Immunofluorescent analysis of ( 4% PFA) fixed mouse heart tissue using CL488-66125 (ACTC1-specific antibody) at dilution of 1:100. PBS with 50% Glycerol, 0.05% ProClin 300, pH 7.3 Store at -20oC. Aliquoting is unnecessary for -20oC storage. Actins are highly conserved proteins that are involved in various types of cell motility and are ubiquitously expressed in all eukaryotic cells. 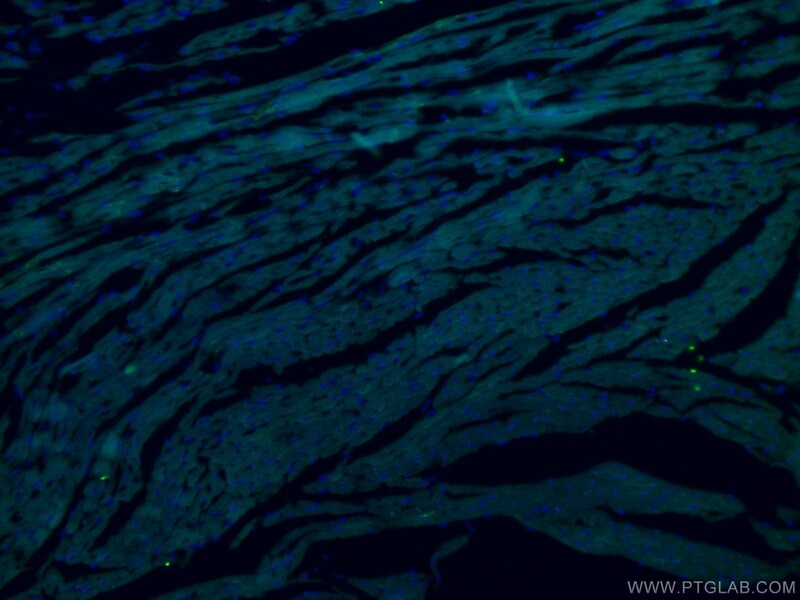 The ACTC1 gene encodes cardiac muscle alpha-actin, the predominant actin isoform in adult heart, which interacts with a variety of proteins to produce the force for muscle contraction. This antibody is specific to the ACTC1. It does not cross-react with other actin isoforms. The antibody is conjugated with CL488, Ex/Em 488 nm/515 nm.